We have a huge range of options perfect for Scouts, Guides and other youth groups. Why pick us? - We have no minimum order quantity! -We only charge set up fees if we don't hold the image you are requesting as a stock image. Our set up fees are low too- typically just a one off £10 for a left breast. -Bulk discount rates from 11 items! - We can help to set up your designs, and have a range of designs we can use around your personalisation! 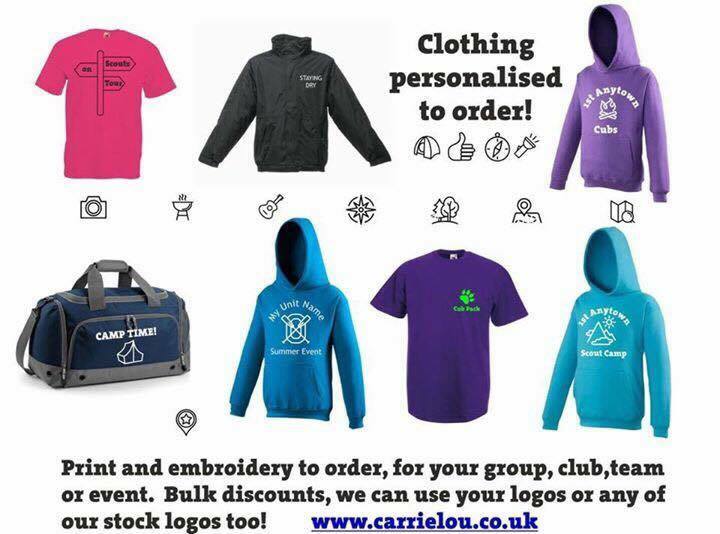 To order, pop over to our "personalised clothing" link to discover our more popular items, or pop us an email over to info@carrielou.co.uk with your requirements.